Founder and Chief of Training Programme of the International Committee of the Red Cross (ICRC), Peshawar, April 1982-September 1987. Founder and Director of Training and Education Department, Alliance Health Committee (AHC) of the Mujahideen Parties, September 1987-March, 1989, Peshawar. Member of Advisory and Executive Board in the Ministry of Public Health (MOPH) and Director General of the Institute of Public Health (IPH), Afghan Interim Government (AIG), March 1989- September 1991. 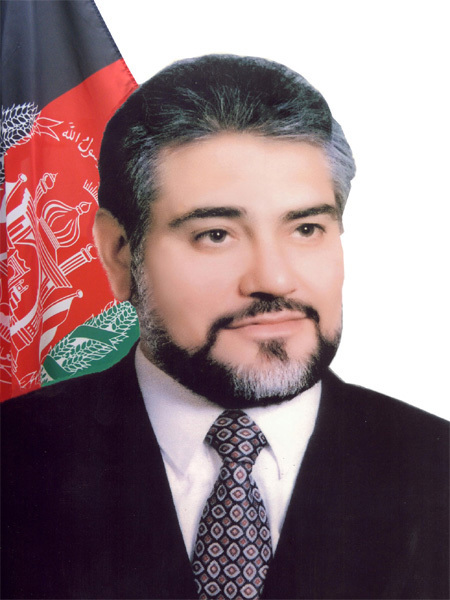 Deputy Minister of Public Health and Director General of Institute of Public Health, Islamic Government of Afghanistan, September 1991-April 1992. First Deputy Minister of Public Health and Director General of Institute of Public Health after establishment of Islamic State of Afghanistan, Kabul, April 1992-May 1993, also held Acting Minister posts at various times. Minister of Public Health May, 1993-1995, Kabul. Minister of Public Health 2004- 2010, Kabul. Dr. Mohammad Amin Fatemi was born on Jan 15th, 1952 in Kuz-Kunar, Nangarhar Province. In 1969 he graduated from Habibia High School and earned his medical diploma of MD from Ningarhar medical college in 22. June 1977. He also participated in the advance academic program in Bonn, Germany 1985 and has the STD document from The High Institute of Public Management in Karach July 1988i, he has a certificate in health care and one in the "new ways for health policy in developing countries" from the Boston University the USA in 1995. He has served as a doctor in Badakhshan, teacher in Kabul public health Institute and member of the health awareness department, founder and in charge of the education program of IRC, founder and Director of the programs of Mujahiddin's unity, member of the advisory board of the Health Ministry in the interim government of Mujahiddin, and deputy minister and first deputy of the public health ministry. He was the Public Health Minister from 1993 to 1995. He was a temporary advisor of WHO in Geneva, Switzerland and and the Mediterranean countries, permanent advisor of WHO for the eat Mediterranean countries, and from 1992 to 1994 a member of the executive board of WHO, from 1991 to 2001 he was a member of the Board of the Medical Services Development for Afghans, a member of the board of the Ladies hospital for Afghan Refugees, member of the "Order of Good Time" in Canada, he has participated in many academic conferences and is the author of Health Care, Right and Wrong use of the Medicines, and First Aid.